Surrounded by Allied colonies, the German colony of Kamerun (now Cameroon) never expected to escape the attentions of its neighbours, especially with its wireless communications systems and harbour at Duala. 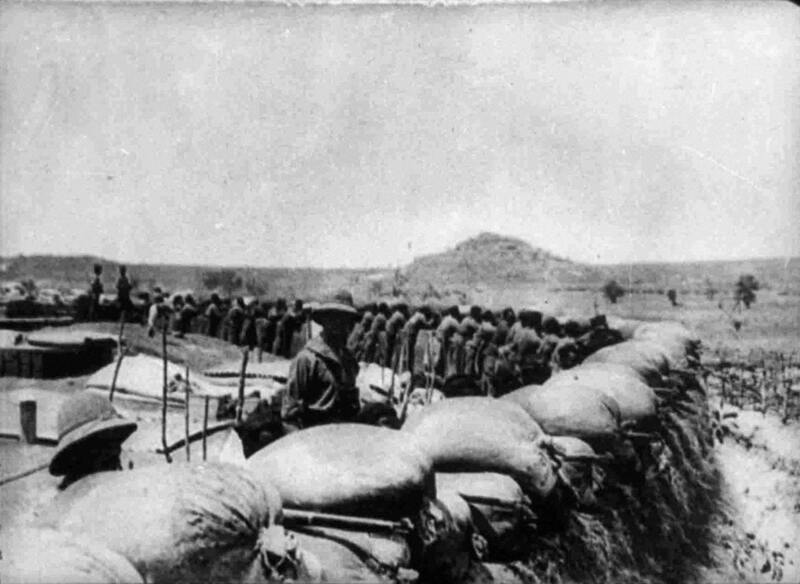 Three weeks after war was declared, French and British colonial troops were pouring into the country. They outnumbered the German troops by almost five to one. However it was not to be an easy conquest. In a country twice the size of Britain, with dense equatorial rainforest, mountains, rivers and desert, yet with almost no infrastructure, it was a war against an environmental as much as a human enemy, and indeed the vast majority of the casualties on both sides were due to illness and exhaustion. The German Schutztruppen recognised that the longer they held out, the longer the Allies would not be able to deploy their troops in more critical theatres. Fleeing inland to the mountains, they kept the campaign going for eighteen months before they escaped to the tiny neutral Spanish colony of Rio Muni, leaving the British and French in control. Who was fighting against whom? 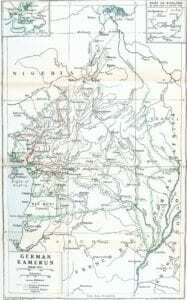 The Kamerun Campaign was a colonial war. Very few Germans fought against very few British, French and Belgians: it was mainly Africans who fought against each other. On both sides, white officers commanded black troops. For instance the German Schutztruppe had a strength of 1,855, comprising 205 Germans – 61 officers, 23 physicians, 23 civilian administrators, ammunition technicians and 98 NCOs – and 1,650 African enlisted ranks. In addition there were several thousand black carriers – approximately three for every soldier. Carriers were essential in a wild terrain without permanent roads or railways. It is a telling indictment of colonial thinking at the time that information about carriers is very hard to find today. Accurate records were not kept, including the number of workers, and even the number and cause of fatalities. For German and Allied armies alike, the men (and probably women) of the carrier corps were dispensable. It is one of the darker sides of the First World War. Even so, the West African servicemen were well regarded by their white officers. Brigadier-General C.M. 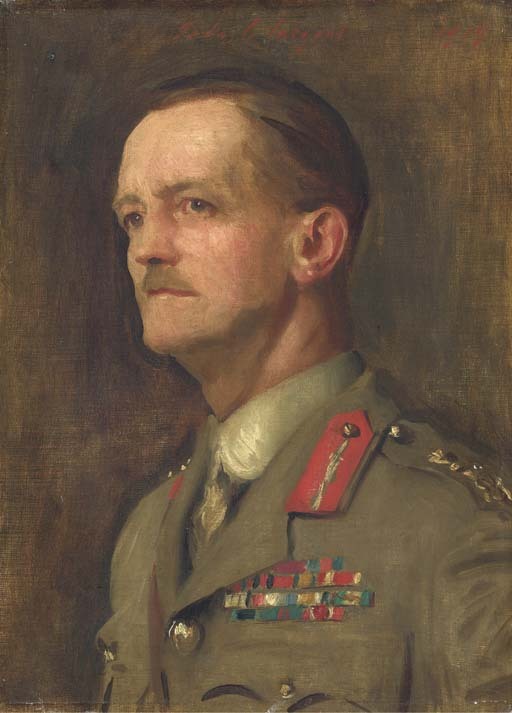 Dobell, in overall command of the Allied force, wrote of the soldiers of the West African Frontier Force: ‘to them no day appears to be too long, no task too difficult. 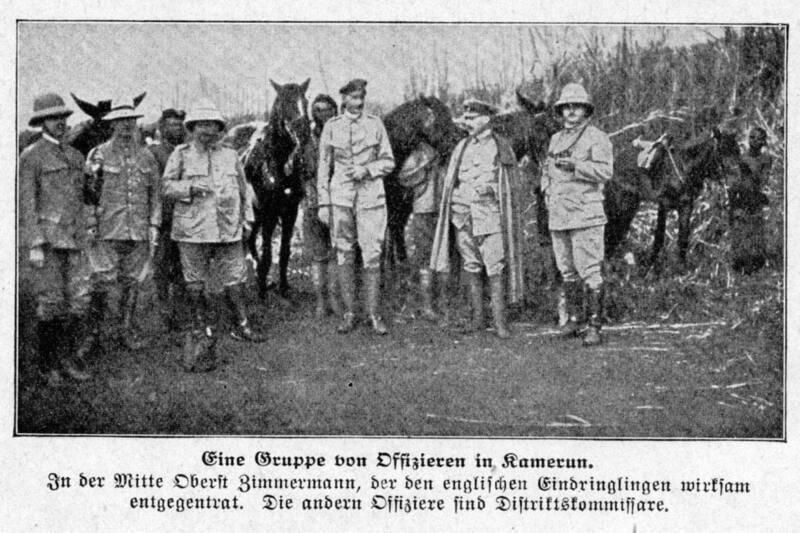 With a natural aptitude for soldiering, they are endowed with a constitution which inures them to hardship; they share with their Senegalese brothers an inexhaustible fund of good humour.’ German officers likewise valued their loyal black troops, as was shown when one of the terms of surrender after the siege of Mora was that the British would provide £2000 to settle the back pay of their black Schutztruppe soldiers. How were the black troops recruited? 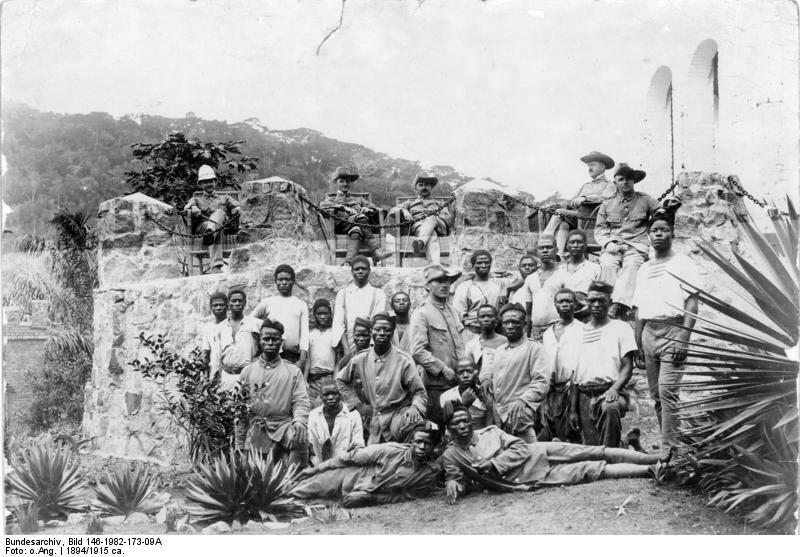 In the British African colonies, men were first invited to volunteer but when the take-up was poor the government began to put pressure on tribal chiefs to raise troops. The chiefs were offered cash for men they brought in, and land in any conquered territories. French colonial forces were raised by conscription, which of course meant that to evade recruitment was illegal. Nevertheless it was necessary to use monetary inducements and intimidation, even including burning crops, taking livestock and taking family members hostage. The Germans also raised native troops, capitalising on their knowledge of the terrain and their fighting techniques which had evolved to cope with the environment. 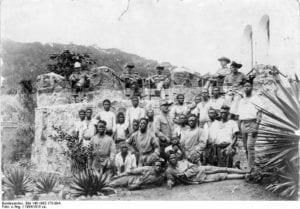 However hostility towards harsh German colonial rule and land expropriation made African recruits suspicious of German promises. Recruitment based on incentives such as offers of land always favoured the winning side, of course, and led to high levels of desertion when the outcome became clear. As the Allies began to get the upper hand, local men deserting from the German forces began to have a real impact, offering their local knowledge and military skills to combat their former masters. What happened in the campaign? Allied forces invaded Kamerun from all directions – the British from Nigeria in the north and west, and from the sea, the French from French Equatorial Africa in the north and east and the Belgians from the Belgian Congo in the south east. British forces quickly drove the Germans out of the main port, Duala, on 27 September 1914.
alarming that the British decided to make a second attempt on the town, supported by French troops. Under pressure, many African soldiers deserted or refused to fight, and it became impossible for the Germans to hold out. They surrendered on 11 June 1915. A further pocket of German resistance continued in the inaccessible mountain region of the north. Under Captain Ernst von Raben, German Schutztruppe were able to hold out for over a year in Mora. The account of the siege reads like a romantic imperial adventure story, with troops firing at each other through the mountain mists, colourful uniformed colonial soldiers storming redoubts and a Christmas truce in which the British commander, Captain R.W. Fox, exchanged gifts with von Raben, whom he had known before the war. 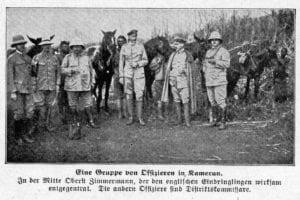 The German garrison slaughtered and ate their horses and donkeys and finally surrendered on 10 February 1916. After the fall of Duala, German troops had escaped inland to the town of Yaunde, where they were gradually hemmed in by the Allies. 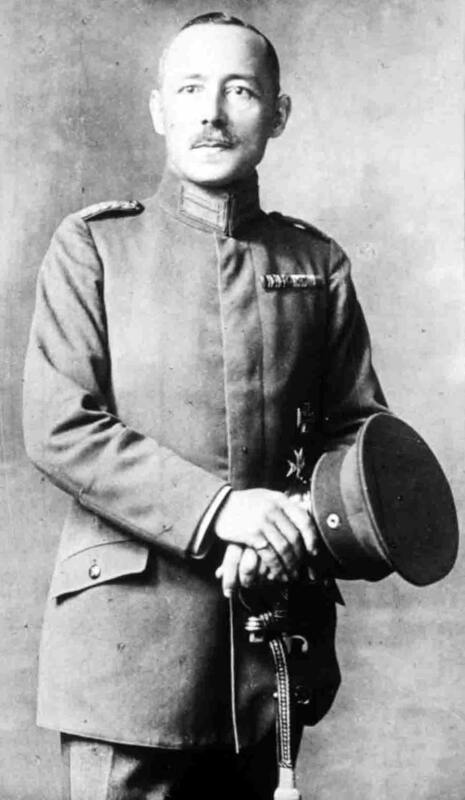 By the start of 1916 the Schutztruppe commander Colonel Carl Zimmermann realised that without further supplies, and surrounded by Allied troops, it was inevitable that the colony would fall. He instructed his German soldiers, civilians and native supporters to flee to the neutral Spanish colony of Rio Muni. 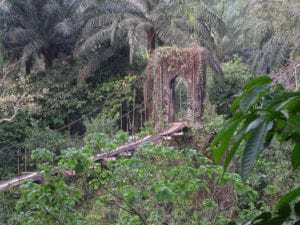 Some of them managed to return home, some stayed on the island of Fernando Po, and some of the African supporters went to Spain where they lived out the war in luxury, paid for by German funds. Zimmermann finally surrendered to the Allies on 10 March 1916. Britain and France quickly partitioned the colony, with a north-western portion being added to British Nigeria and the rest coming under French rule. 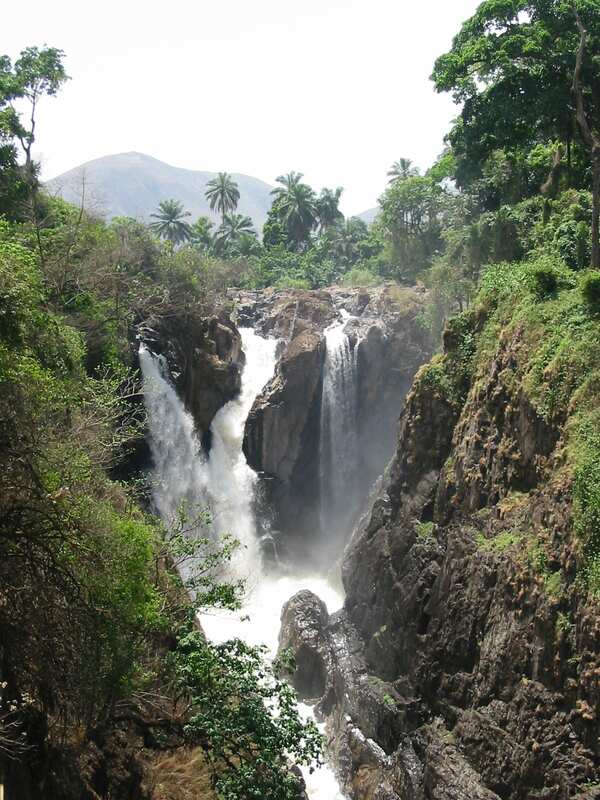 After the war, Kamerun was administered under the League of Nations Mandate System. How did the climate affect the campaign? In equatorial Africa the climate was a bigger challenge than the enemy. A list of the German Schutztruppe dead demonstrates this graphically: of 166 men only 10 were killed in action. Besides tropical diseases such as malaria and parasites such as jigger fleas, troops succumbed to illness caused by the weakening of their immune systems, including dysentery, pneumonia and tropical ulcers. This was especially true of the carriers, due to their gruelling work and poor diet. At the time of the First World War black officers were very rare in the British army. One of the earliest served in Kamerun: Macormack Charles Farrell Easmon, a British-trained doctor from Sierra Leone. The West African Medical Staff was only open to white officers but due to the critical situation there, the British army had relaxed the rules and allowed Easmon to be commissioned as an Acting Lieutenant. He was attached to the West African Carrier Corps and served in Kamerun between November 1914 and July 1915. After the war his temporary rank was made permanent. What were the long term effects of the campaign? Recruitment throughout the West African colonies robbed the countries of many of their youngest, fittest workers, leading to economic hardship both before and after the war. There were shortages of food and basic commodities, leading to price increases. Refugees moved from one country to another, adding pressure on governments already reeling from the economic effects of the war. Nevertheless, thankfully the wars in West Africa were relatively brief, so the hardship was much less severe than that in East Africa, where the campaign dragged on for four years. However, the First World War had a long-term impact on West Africa, as nationalist and political movements were established that formed the basis for African movements for decolonisation and independence. With thanks to Harry Fecitt, military historian and expert on the First World War in Africa, for his support and advice.